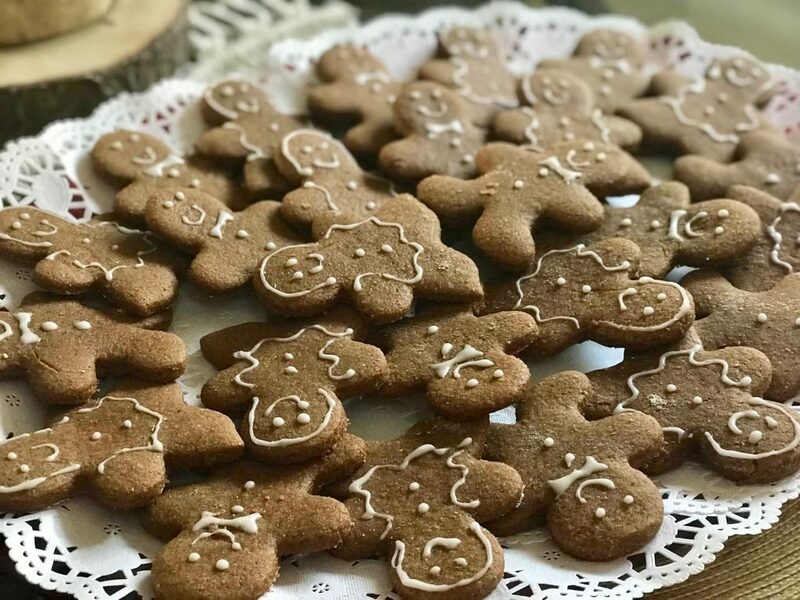 With the holiday season well underway, we are celebrating by sharing one of the most classic cookie recipes – gingerbread! 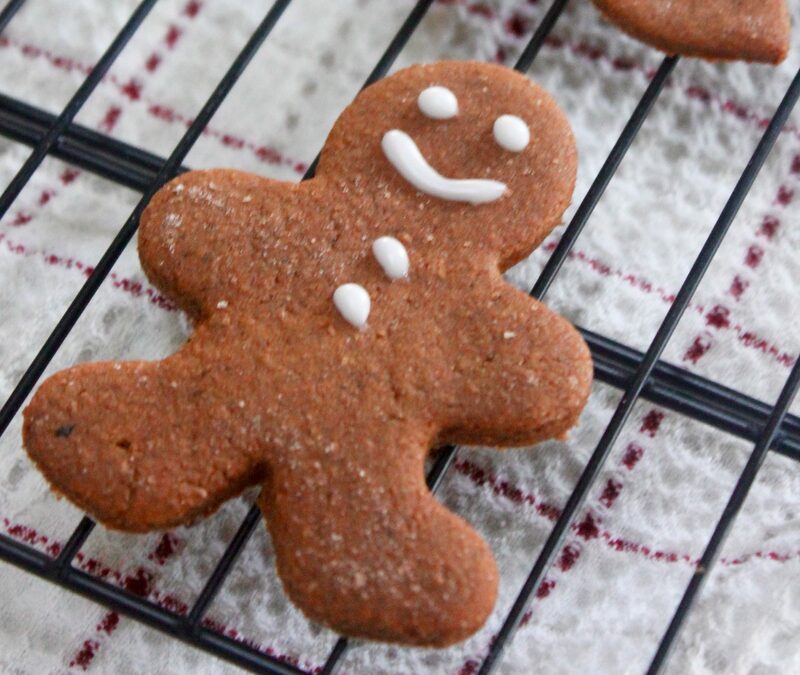 This recipe is featured from your Holiday Cookie & Treat Guide and is 100% vegan! BUT, we promise, you won’t know the difference! Mix at least 1 cup of powdered sugar with 1 to 2 tbsp. almond milk or water. Add more liquid if needed, but you do want a more stiff consistency for piping. In a bowl, mix all wet ingredients together. Then add in all dry ingredients except for the flour. Slowly mix your flour in 1 cup to a 1/2 cup at a time. You may not need all 3 cups of flour, just keep adding until your dough forms together easily. It will still be sticky, but easy enough to handle if you flour your hands. Form the dough into one large round disk and then wrap with plastic wrap and refrigerate for at least 30 minutes. After 30 minutes, preheat your oven to 350 degrees F.
Break off sections of dough and roll it out on a floured surface. The thinner you roll, the more crisp your cookies will be. We like a chewier gingerbread, so we roll out to about a 1/4 inch thick. 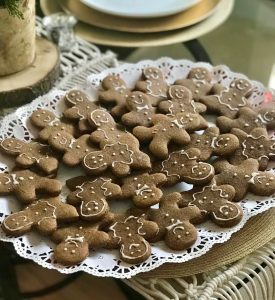 Use cookie cutters to cut out gingerbread men and women or any shape that you want! Continue rolling and cutting (re-flouring your surface as needed) until all dough is used. Place on a non-stick or parchment lined baking pan and bake for 10-12 minutes. Remove from the oven and let cool on a wire rack. Eat plain or use icing recipe to create designs. Enjoy! Note, you can make the dough ahead of time and bake the next day. Your dough just may need 10-15 minutes out of the fridge to soften slightly if making the following day. Want more great holiday recipes? Check out our holiday recipe guide complete with festive, plant-based appetizers, an array of cookies and treats, and even a snow day workout that can be done from home or any where you may travel this season!